Solar Garden Lamp with LED Light is the greenest lighting for your garden. Solar Garden Lamp with LED Light is the greenest lighting for your garden. Why? Solar LED Lighting combines Green Solar Power and Green LED light source to bright up places where we need to. It is the greenest lighting system so far. Solar LED lighting generates its own electricity just by sitted under the sun light. * They are easy to install and mostly just place and play. Almost all can be set up by your own. * They are isolated system with no external electrical connection needed. * No ELECTRICAL Bill to worry about. * When main power fails, your Solar LED lighting will keep working for you. LED light source is bright and long lasting. Leds use 50 to 90 % less power compares to other tradition light sources while giving out the same or more brightness. Led is a SOLID state light can easily last for 7 to 8 years under normal usage. LED lights generate low heat while in operation, you will not get burn when get contacted to the lamp. Your place will be safer for you and your love one. Our solar LED light all comes with Maintenance Free Deep Cycle Battery. Life span of the battery is expected to be 3 years or more. Equipped with Solar Controller to ON and OFF of the lamp. Solar LED light can be programmed for manual ON/OFF or to turn on automatically to on at night and off in day time; so you don’t worry about switching on and off of the garden light. With today's technology, the brightness of LED light is within 80LM/W to 100LM/W. 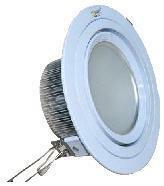 is 2 to 4 times of Fluorescent tube and Compact Fluorescent Bulb. In theory, Led brightness can reach 300 LM/w. At present time by replace the traditional lighting to the LED light, you will reduce your electrical lighting cost from 50 to 90%. The average life span of the Led today is 40 000 Hours. If the light is on for 10 hours per day, it will last for 11 years. No maintenance for 10 years and loss of used. The longest it can reach is 80 000 Hours and it keeps increasing with the technology advancements. The heat generated by the Led is very much less compared to Halogen or Fluorescent light. For LED light even after turning it on for few hours, it can be touch by hand. This will reduce your electrical charge of your cooling system and no more burn by the lighting when come contact with the lights. One weak point about LED is the working temperature should below 60 degree Celsuis. All the above advantages are true for LED working at this condition. Above this temperature; what will happen seem like no answer or anything can happen. By integrate solar panels, battery and solar controller; we get a solar power system which will generate power just from under the sun light. 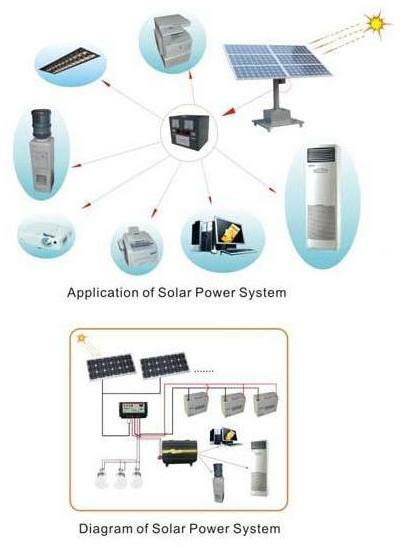 Solar panel under the sun light will transfer the sun light energy to the electrical energy; through the control of the Solar Controller, the electrical energy will be storaged in the battery and ready to be used. The size of the solar panel of a solar power system is determined by the following conditions. • What is the electrical energy needed per day? • The Average Sun Shine Hours per day of the place where the system is sited. • How many days energy storage needed when there is no sun light during day time (raining day, cloudy day or ...). Since battery of the system can only supply DC (direct current) electrical power; you do need an inverter if you have AC (alternate current) appliance needed the electrical power. After knowing and decide the above conditions; a solar power system then can be designed. A will designed solar power system (with quality components) will give you the electrical energy you needed every day free (from the sun) of charge. The main cost to maintain the system will be replaces the wear off battery to a new one. If the system works under the designed condition; the battery will last 3 to 5 years. Why SOLAR GARDEN LAMP stands out from other Garden Light. Please read on. Solar Garden Lamp works without exteral electrical connection. Solar Lawn Lamp with Ultral-Bright Leds to bright up the Garden Whole Night. Solar Lawn lamp equips with low-power ultral-bright Led to bright up your garden whole night. The design ensure the lamp ON for whole night even for 3 continueous raining days. Solar Underground Lights and Solar Surface lights come with solar cells and Leds can be placed on the ground and surfaces and lighted up whole night. They are all water proof. Solar Light Kits provide Solar Panels, Batteries, Solar Controller and LED lights to let you design your own solar lighting system for your Garden. Every solar system is specially designed to provide electrical power for certain usages. The system can provide power for lighting, fan, water pump... and extre. LED will be the Future Light Source. LED Lights can save 50 to 90% of your lighting electrical charge and is Green. 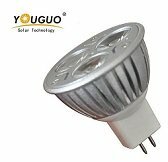 Led Lights are Brighter, Long Life Span, Low Heat Generated, No Flicker, No breakable, Soothing to our eye while reading book or watching computer's screen. Led tube is made to replace fluorescent tube for save energy, flicker free and green to earth. Led Down Lights are produce to replace CFL Down Light to save lighting cost by the nature characteristics of the Led light source. LED Flood Lamps to replace traditional High Pressure Sodium Lamp or Mercury Flood lights for outdoor possess IP65 waterproofing protected by Alumimum housing and tempered glass. 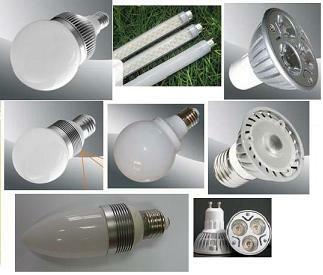 Led Light bulbs can be used to replace traditional light bulbs. High Voltage input Led bulbs like 230Vac the Led driver inside the bulb will not last long but 12V Led bulb is last. Led Sensor Light is Led lamp equipped with PIR sensor and light detector. Led Sensor Light only light up at night and when someone enter its monitoring area. Sunglow Pte Ltd imports solar Led lighting system. All about SUNGLOW PTE lTD. The Solar Garden Lamp Blog keeps you up-to-date with changes to the sunglow solar green light.com Web site. Subscribe here. Led Spot bulb replace MR16 Halogen Spot bulbs up to 50 Watts. LED Spot Bulb (MR16 12V) can replace Halogen spot bulb so to save electricity charge up to 90%. Led spot bulb MR11 can replace MR16 Halogen Spot bulbs up to 20 Watts. Would you like to share your knowledge about solar garden light? Great, find out how you can submit your story or tip here.